Submitted by Oldroser on Mon, 02/11/2013 - 01:13. I wish I had had my camera the other day. I saw white flowers intermingled with the other colors cascading over a wall when Brody and I walked to the next little town. Almost all the walls are like this. 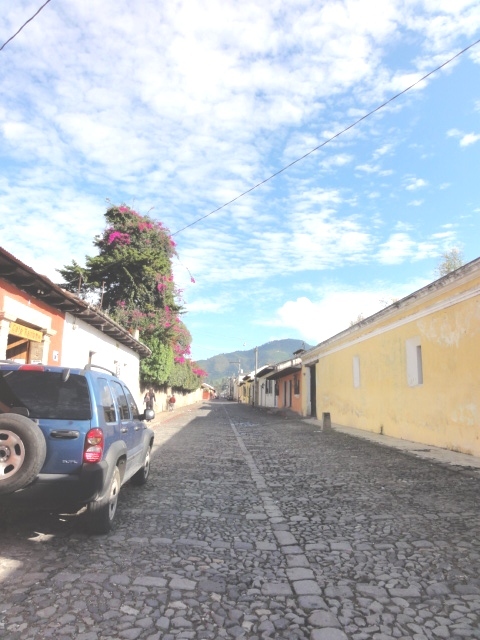 Typical street, see the cobblestones. 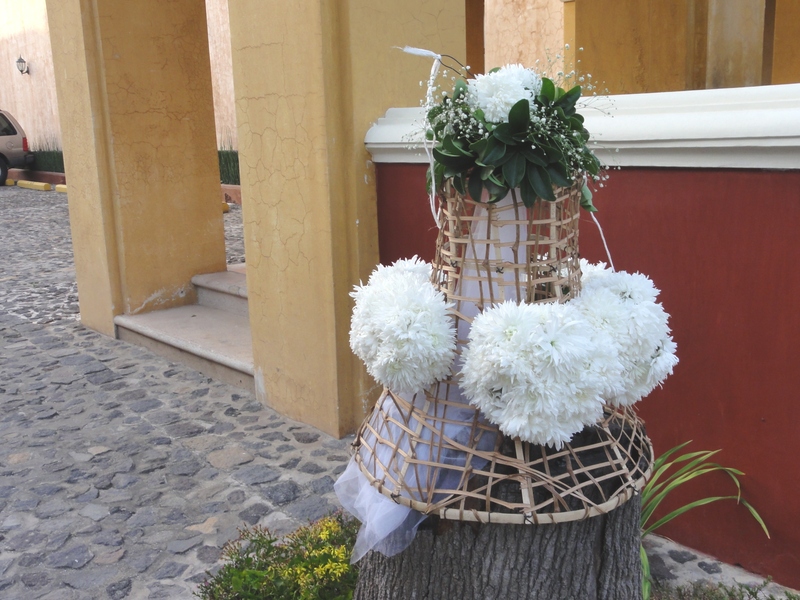 For some reason, in our complex, part of a bride's bouquet was perched on a stump.